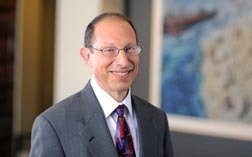 Steve Goldstein has defended a wide range of clients from large national corporations to non-profits and religious institutions in cases involving employment, professional malpractice including insurance brokers and attorneys, nursing home and personal injury claims. By recognizing that each client has unique objectives and needs, Mr. Goldstein approaches resolution of each claim to meet the goals of the client, whether it be through early negotiation, alternative dispute resolution, aggressive litigation, or trial. By defending with diligence and professionalism each of the thousands of cases he has handled to conclusion over the course of his thirty year career, he has earned widespread respect and recognition from his clients and peers. Defended a large non-profit organization in a Fair Housing Act and State Anti-Discrimination Statutes case. Successfully obtained a dismissal on summary judgment since there was no legal basis for enjoining a private owner from selling its property. Prevailed in a summary judgment motion for a national insurance broker in a federal lawsuit claiming a $6 million loss for underinsuring a private jet. The case is currently on appeal in the 9th Circuit. Defended a debt adjustment service in a class action lawsuit. Plaintiff, on behalf of a putative class, sued our clients, who engage in debt adjusting services for debtors, on the basis that they allegedly violated Washington’s Debt Adjusting Act, RCW 18.28. We have successfully moved the case to AAA arbitration by enforcing the arbitration provision in the parties’ contract and are prepared to argue, based on the recent United States Supreme Court’s decisions in Stolt-Neilson S.A. v. Animal Feeds Int’l Corp., 130 S. Ct. 1758 (2010) and AT & T Mobile LLC v. Concepcion, 131 S. Ct. 1740 (2011), that the subject arbitration clause does not permit class action arbitration. Defended an employer in a wrongful termination case. Our client was sued for wrongful termination in violation of a public policy after it terminated the employment of one of its insurance agents because the agent refused to quit coaching baseball during the summer, an event that caused him to miss work and caused him to neglect the needs of his clients. Successfully obtained summary judgment dismissal against an alleged wrongful discharge claim in the Eastern Washington District Federal Court. Represented an attorney in a malpractice case in which plaintiff was seeking to expand the duties owed to third parties. Obtained a summary judgment dismissing all claims. Defended a religious brotherhood in some 60 sexual abuse claims from 1939 through the 1970’s arising out of an orphanage and a private school. We successfully litigated to mitigate the claimed damages through extensive motion practice, intensive investigation efforts, and aggressive deposition practice, including defeating an punitive damages motion which would have had a dramatic impact on the damages exposure. Represented a non-profit corporation in a sexual harassment suit. Won a dismissal in state court in Eastern Washington after discovery that plaintiff had falsified a document used in support of her case. Represented a national trucking company in a wage and hour case involving 13 drivers who claimed overtime violations and that they were not provided their lunch and rest breaks. Successfully negotiated an equivalent alternative overtime pay provision with the Department of Labor and Industries and obtained a summary judgment dismissal of all claims. Represented a non-profit in a sexual harassment complaint filed in Federal Court that was dismissed on summary judgment on the basis that the alleged harassment was not severe and pervasive. Represented King County Juvenile Court in a race discrimination case brought by three juvenile jail facility employees. Obtained a summary judgment of dismissal in Federal Court. Represented a nursing home in a race and age discrimination case which was dismissed on summary judgment. That dismissal was upheld by the 9th Circuit Court of Appeals. Represented a large regional meat processor in an e-coli case that was successfully tried to verdict.